Introducing the new Badger football post game rating system. Points will be awarded in number of Buckingham Badgers from one(really bad) to five(outstanding). I will try to reserve the five and one Bucky ratings only for those events that are deserving and not hand them out like Bret Bielema pickup lines at a local watering hole(too soon??). Without further preamble, on to the ratings! Gary Andersen and the new coaching staff. Starting with 70 yard TD drive march on the opening offensive possession to the players surrounding Andersen during Jump Around, the new staff has won over the players and it showed on the field Saturday. Offensive coordinator Andy Ludwig was crisp in playing calling and utilized play action pass nicely to mix in the passing game. Defensively the new look 3-4 and pre-snap adjustments had the Minutemen confused all day long. UMASS is by no means a juggernaut and there were a few areas to clean up for the Badgers but this performance was exactly what the doctor order to open the Gary Andersen era in Madison. Fittingly three Buckinghams here, one each for the three running backs on Saturday. Melvin Gordon, James White and Corey Clement all ran for over 100 yards and scored a TD. As dangerous as the run game was against UMASS, we may have experienced just the beginning. The coaching staff has hinted they may get White and Gordon on the field at the same time in certain formations and packages. It’s unlikely to be unveiled until the conference slate, but the idea of contending with Gordon and White will keep Big Ten defensive coaches up at night. Peniel Jean/Sojourn Shelton. Jean was a monster in run support. He attacked runners and had several tackles right at the first down line that prevented UMass from extending drives. His play was reminiscent of recently retired NFL player Antoine Winfield. True freshman Sojourn Shelton has been making waves since enrolling early last January and he didn’t disappoint in his first collegiate action. Shelton read the quarterback perfectly, left his man in the flat and made an acrobatic catch dropping back into the passing lane. Badgers have not had many defensive backs with the athleticism and ball skills to make a play like that in recent years, I’m guessing we’ll see more plays like that from Shelton during his UW career. Joel Stave has had better days. Two botched snaps and an interception will need to get cleaned up before Big Ten play. His interception was the product of a bad read and an even worse throw. Even the two long TD passes were slightly under thrown and needed quick stride adjustment and good hands from Jared Abbrederis. Stave seems to have developed an extra little half shuffle before throwing deep passes which is just enough delay for the receiver to get a few yards out of range and hit perfectly in stride. Credit OC Andy Ludwig for sticking with the passing game when it wasn't really needed to help Stave settle into a better rhythm in the second half. Stave won the starting job in part because of his ability to stretch the field in the passing game. 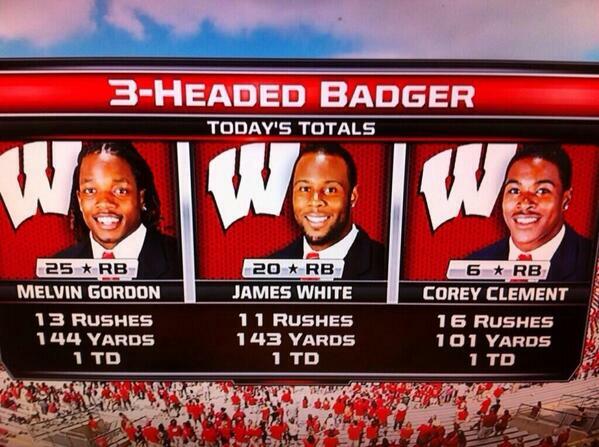 Improvement in that phase is needed for the Badgers to maximize their offensive potential this year. Honorable Mention Bucky – Curt Phillips handed his playing time Saturday to Bart Houston near the end of the game so Houston could get some live game reps under his belt. While Phillips role on this year’s team seems to be more behind the scenes than out front on the field, leadership and selflessness like this speak volumes about Phillips character. Great to have guys like him on the team. 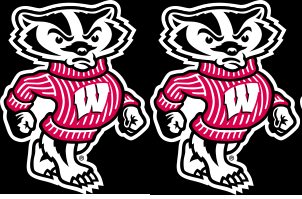 The Badgers host football championship division Tennessee Tech next Saturday at 11am in Camp Randall Stadium. Tech ran for over 300 yards themselves beating Cumberland 63-7 opening weekend. The strength of their team will once again be on the ground and shouldn't test the Badgers defense much. Offensively the Badgers should control the line of scrimmage and run at will much like they did against UMass. The biggest question will be how sharp Stave will be in the passing game, and getting out of the game without any major injuries. 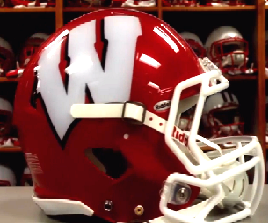 The Badgers will also debut their new alternate helmets exchangeing the color scheme of the traditional white helmet and red motion W. If all goes according to plan the new helmets will provide the most excitement for what should otherwise be another warm up type game for the Badgers.